What happens when a godparent dies before the child is grown? But, what happens when the child is not yet grown and their godparent dies? The day we stood huddled at the font at the Episcopal Campus Center, St Francis House, in Madison, Wisconsin our son was about five months old. Godparents gathered from across the country and locally promising to raise him in the Christian faith and life. One of his godparents was a local friend named Susan who we had met through the campus ministry. Susan had been a part of it thirty years ago as a student. I was the current campus ministry chaplain and she was an ordained deacon in the diocese. We hit it off and became not only friends, but sources of spiritual support in our respective ministries. I could not think of a more qualified and apt choice for godmother. I never imagined that one day she would die and my family would be unable to attend her funeral. A few weeks ago, we learned that Elias’ godmother, Susan, died. It came as a surprise because we no longer live in the same town. 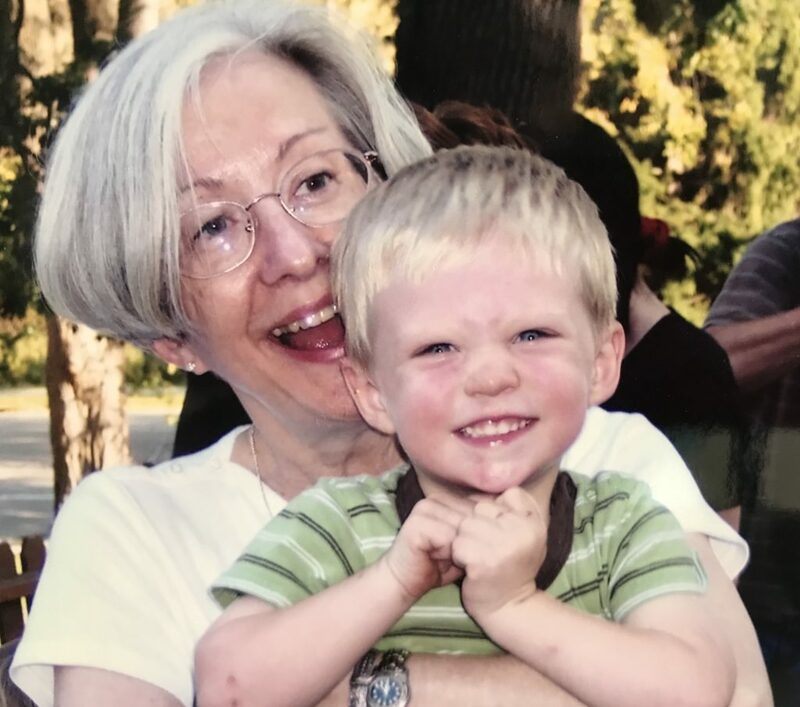 I knew she had been sick with early onset dementia for some time–making communicating with her long distance challenging in the very least. But, when we got the news she was placed in Hospice care, my mind began racing through our track of memories. I kept imagining Susan, hopefully resting comfortably, surrounded by the people she loved, getting ready to end her earthly journey. I checked my email whenever we had wi-fi expecting to hear “the news.” When it finally came two whole weeks later, we were ready to board our flight back home. How do you grieve someone you haven’t seen consistently in the last eight years? How do you grieve someone who nobody in your current town knows? You reach out and call a friend you had in common back in the day when the children were born. A shared friend whom Susan celebrated when she found out we would be in the same birthing class at Meriter Hospital. It was Susan who continued that story by being the first person we made a coffee date with when the boys were three weeks old. I clearly remember trying to get my boy fed and dressed and out the door with dry pants. By the end of our coffee date, he had peed on her jeans and she laughed and made one of her wonderful quips. Susan remained a friend of both of ours the whole seven years we lived in Madison. Susan sat on my weathered blue couch and held me after not one, but two, miscarriages. She rejoiced at the birth of my first child and accepted the duties of godmother with such joy. She became known as “Grandma AD”, which was shorthand for Grandmother Archdeacon. You see, Susan was big stuff, but she would never tell you that. She had a background in languages and education. 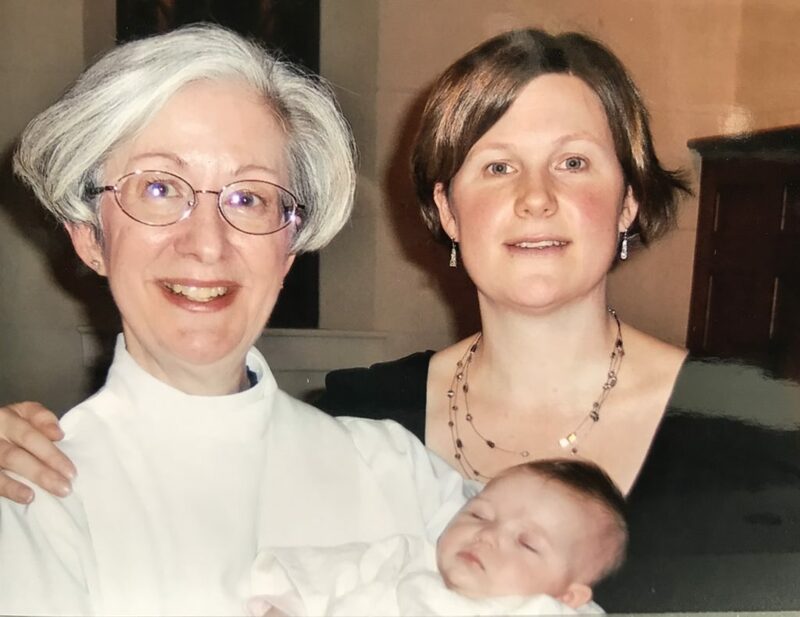 And, later in life she was ordained an Episcopal deacon serving the church with faithfulness and an ebullient personality. Her gifts as a listener and as a communicator served the church so well that she was named Archdeacon in the diocese. Susan and I spent many a day riding in her red, Volkswagen with the Godspeed vanity license plate. We talked theology and politics and child-rearing and life. Susan had an infectious laugh and energy. She embraced me as a new mom and loved me through the ups and downs of breastfeeding, sleep patterns, and introducing solid foods. I have many memories of us walking through Wingra Park and stopping at Michael’s Frozen Custard on the walk home. So many memories, and yet, my own son, Susan’s godson, could barely remember her. And, so be it. Amen. Beautiful post and a wonderful tribute to your friend. Thanks for sharing.